*the green mini bra looking thing is my 40 BLINKS "eye shade" AKA sleep mask is awesome, it is comfy and kinda protrudes out so it doesn't smash your eyelashes or ruin your eye make-up - if you are sleeping on the plane like I tried to do today! *my mac book pro, ofcourse...it's my baby...me movie editor, blog maker...it's the brain of everything I do online! *the small little pink thing on the left side of my laptop is my Bath & Bodyworks Hand Sanitizer in Sweet Pea- when you travel you encounter so many germs, in the recycled airplane air, the dirty arms rests...everywhere. I sanitized before I ate my snacks on the plane! *then my Wet Ones (yes more hand cleansing options) this is when you want to wipe clean any dirt, not just smear a sanitizer around! *My Lady Gaga Heartbeats headphones...they are lightweight to travel with and sound great...and they are handy to have when you can in-flight movies you don't need to buy the crappy headphones they sell you. *I always travel with chewing gum (I like Orbit in sweet peppermint)...it helps your ears "pop" when you go up and down in altitude. And you have nice breath! *Then I travel with my video camera almost everywhere...it's a CANON VIXIA HF 20. I travel with my memory card reader and spare memory cards too! And of course, I toss all this into my LUG Puddlejumper bag in hot pink. *AND THE MUST HAVE OF ALL MUST-HAVE's: the cupcake luggage tag from FLUFF! 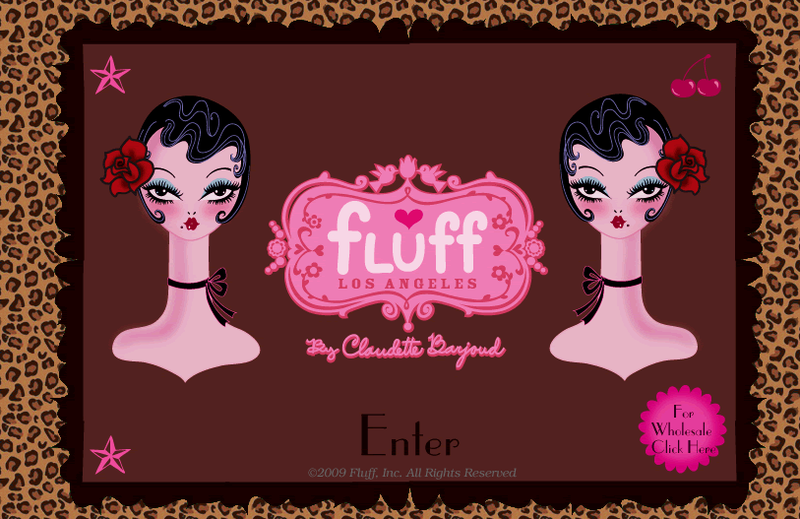 I love FLUFF...it's cute, fun, girly, vintage and kinda has a Betsey Johnson flavor...love all their stuff! Check out the cuteness of the cupcake tags...they'll add some fun to any bag or purse! I have the one with the hot pink icing! Fro $12.99 it's fun way to add some happy to your day! a smile...and happiness and joy no matter how many flights you miss or times they lose your luggage! he said, "I will go out of my way to help a nice person...the people that are rude and angry....I don't try to offer them anything! "...lesson learned...when you are NICE and ask for help...people go out of their way to help you! Great stuff! I also must carry chewing gum, wet wipes and a lip balm with me! I love the things that you would find in your carry on... also with being nice to people whilst traveling is ALWAYS a good thing. Hugs Kandee you are awesome and you always put a smile on the faces of everyone in my family including my nieces... they are 8 and 5 and they love watching your videos with us! Hear! Hear! Nice people are always easier to take care of. Glad to guys finally got there safe and with great attitudes. So if you're nice to people, people will be nice back. oh man, yea I work at Jet Blue and I can say that most crew members have that guys same mentality. I've been reading your blog for a good while now, and I must say that you are a true inspiration for many people, including me. I've shed many tears while watching your videos and hearing about your hard life. You are so lively, happy and grateful for all those terrible things too. And I am so lucky and thankful that I found those videos when I still was happy and carefree. Because bad things happened me too, my boyfriend suddenly left me and I had to move to a new town. At first I was just suprised and it was so painful, and I felt so numb. But your words were echoing in my head..your supportive words! And now, I,m packing my stuff.. I accept these unpleasant things and I will grow stronger. I am grateful for these things and I now there's something greater for me to find. I have the Sweet Pea hand sanitizer too! It smells great! I think that customer service man read your blog about how to deal with rude people and recognized you! hahaha, you never know. He's probably embarassed that he watches your makeup videos just to watch you :) GET SOME SLEEP KANDEE! I have the same LUG bag in Grey and I love it. Kandee, can you do some more travel stuff? I'm going to Vegas this Thanksgiving and I haven't been on a plane in YEARS! I'm talking before 9/11! Do you have the mini puddle jumper or the original puddle jumper? Let me know! I love that bag! I LOVE FLUFF! I have a laptop bag from them it has shoes ALL over it. <3 the zipper broke off and it's very worn, but I love it nonetheless.